Dev Guy founder - Aubrey Moore has many years of experience in the software field, from managing corporate development teams, to small scale developments, Aubrey has seen most things in his 20+ years software development career, so can assist. If you are looking for a new online store, booking system or website then feel free to contact Dev Guy. Dev Guy has clients all over the UK and Europe. Skype, Google Hangouts and Team Viewer allows me to have face to face meetings, without leaving my office. But I am based in Doncaster, South Yorkshire, so if you are a local business I am happy to travel to see you. Dev Guy is an EPOS Now Partner, so Dev Guy can provide Electonric Point of Sales (EPOS) units to your business. 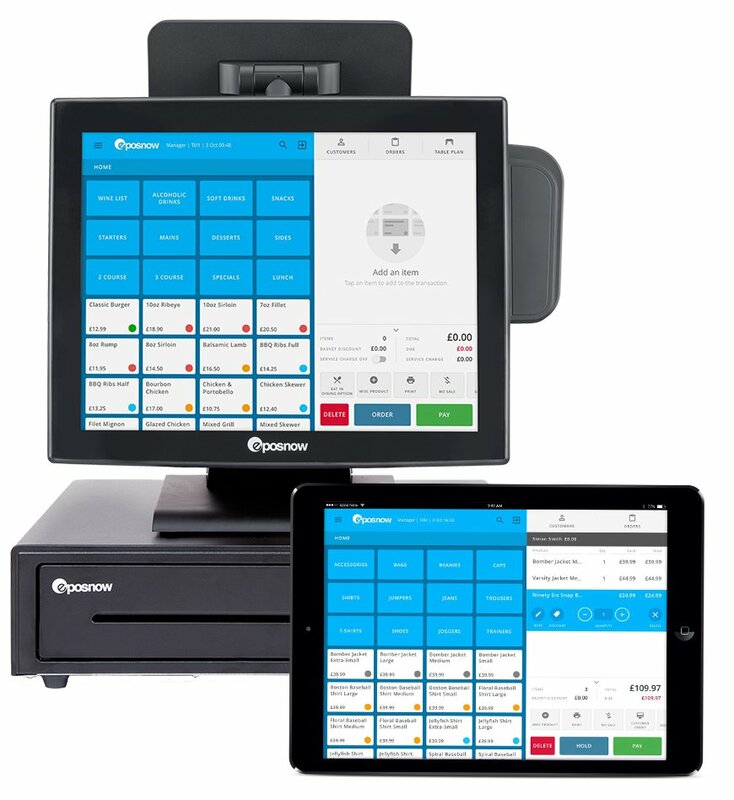 EPOS Now is the best EPOS on the market. Please contact Dev Guy for a demo. EPOS Now units are great for cafes and restaurants, as well as parks.